What Is the Difference Between Stem Cell and Platelet-Rich Plasma Therapy? Stem cell therapy and platelet-rich plasma (PRP) treatment are both types of a new and exciting type of medicine: regenerative therapy. Many patients who suffer from joint pain caused by chronic illness or injury are turning to regenerative therapy to restore their mobility and quality of life. Stem cell therapy and platelet-rich plasma therapy work in different ways, but each holds a lot of promise for chronic pain sufferers. Unlike fully invasive treatments like surgery, regenerative medicine doesn’t involve long recovery times or incisions. And unlike painkillers, regenerative therapy does more than just mask the pain­ – it helps heal and restore damage caused by disease or injury. Stem cells are different than the usual cells that make up our organs and vessels because they are like blank slates – they are not assigned as a specific type of cell yet. Therefore, stem cells can theoretically take on many different types of characteristics, or differentiate, into different kinds of cells. Our ability to harness stem cells for therapy is still being studied as it’s performed on patients, and results are very promising. 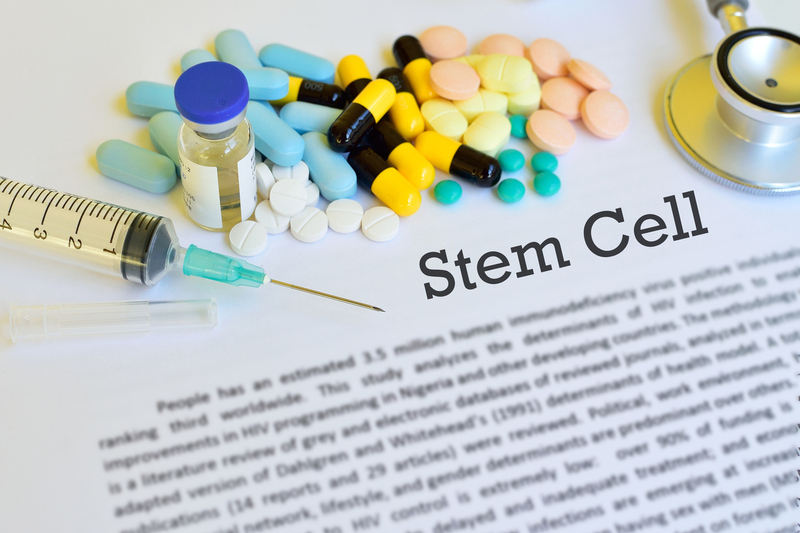 A doctor can take stem cells from a specific part of a patient’s body, and those stem cells can then be processed and later reinjected to give a deep treatment to that same part of the person’s body. For several decades now, doctors have used stem cells taken from bone marrow to treat certain kinds of blood cancer. But it’s only been recently that scientists have been able to extract stem cells to help heal other maladies as well. Our clinic only uses autologous stem cells, which are those that are extracted directly from the patient for use in that same patient. We only use stem cells from the patient’s bone marrow, which we extract from the person’s hip bone. Then, the cells are sent to a lab, where the stem cells are separated out and concentrated. The concentrated stem cell serum is later injected into the treatment site of the patient – often a knee joint, in the case of arthritis pain or sports injury in the knee. These stem cells are believed to then transform into working tissue, or to encourage the growth of damaged or destroyed tissues. Joints in the knee, ankle, shoulder, and elbow are among the most common treatment sites for stem cell therapy. Our clinic also treats issues with the spine, which is one of the ways in which our practice stands out from the rest. Patients often report excellent results, as they experience less pain and improved mobility. Other types of stem cell treatments for more complex conditions are still being researched. PRP therapy is popular with athletes and people who have been injured. PRP stimulates the healing and rejuvenation of tissues, because platelets naturally coalesce to form scabs and other healing factors. In contrast to stem cell treatments, PRP therapy doesn’t actually grow new tissues. Instead, it promotes healing and regeneration of the existing cells around the injured or damaged tissue. The treatment is simple: Your doctor or clinician takes a sample of your blood and sends it to a special lab. The laboratory then treats the sample to concentrate the health-promoting platelets in it, resulting in a platelet-enriched plasma. Then the concentrated plasma is injected into damaged joint tissues, speeding healing and repair of damaged tissues, tendons, and cartilage. Patients usually experience results within a few weeks. Platelet-rich plasma therapy and stem cell therapy are regenerative treatments that harness the healing and restorative factors within your own body – helping to treat many chronic pain conditions and injuries. STAR Spine & Sport specializes in a variety of noninvasive treatments for both chronic and acute back pain and sciatic nerve pain, and we can help you toward becoming pain-free. From back braces and medication to massage and physical therapy, there is a treatment that can work for you. For more information, and to schedule a consultation, call us today at (303) 238-4277 or fill out our easy-to-use online appointment request form now. We have several convenient locations to serve you in Golden, Westminster, and Denver. We look forward to helping you get back to that active lifestyle you enjoy.